The exceptional EGT gaming experience showcased at EArena Expo - Casino Inside - The gambling industry magazine! The beginning of September was heated up by Entertainment Arena Expo in Bucharest where visitors had the chance to experience the impacting show of EGT in booth 401. As usual, Euro Games Technology was at the forefront of the most exciting happenings, having the largest expo ground no. 401 and presenting product solutions that covered all aspects of gaming industry. Having the advantage of its online desktop and mobile games portfolio on display at the booth, EGT Interactive showed that online games can be played #anytime, #anywhere with some of the most exquisite shows, showcasing the natural progress toward its goal of becoming the most preferred supplier of interactive content in Romania. 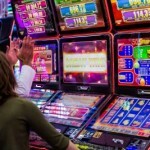 Just several months ago EGT Interactive provided its portfolio of over 80 gaming titles to several key online casinos in the country – GameWorld, Superbet, NetBet and Circus. The internet-based solutions were accompanied by a strong slot machines presence, EGT featuring all novelties from the portfolio during the exhibition days: from the P-27/27 St Slim that is shortlisted in the category “Land-based product of the year” in GGA 2017 to the Super Premier and Super Premier 75 with their impressive curved monitors and incredibly accurate graphics; from the Outlet range of slot machines to the P-27/42V St or P-27/32H St models that created quite a buzz with their up-to-date design and exquisite features. Bringing the stylish cabinets to live – the recently developed multi-games for the vibrant mixes of Collection series: Red, Orange, Green, Fruits Collection – put EGT in a winning position. The boost in EGT’s slot presence on the market was upgraded with EGT Romania’s obtaining Type Approval for AWP for the local market, with this expected to sustain another substantial growth in EGT’s local sales for 2017 and 2018. 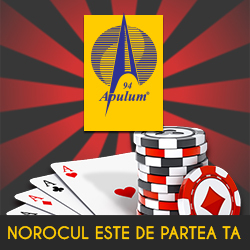 The 4 Happy Hits, the Chinese-themed Fu Gui Rong Hua and the Premium Link – a complete novelty to the Romanian audience, joined forces in giving the players a surprise packed in engaging design and specially created games. Adding more product choices for both operators and fans, the multiplayer division of EGT presented its best performing developments – the Premier R8 Roulette, featuring 8 gaming positions, each equipped with a 23-inch touch screen LCD-TFT monitor, and a configuration of 5 STORK terminals, connected to an automated roulette wheel. This year not one but two casino management systems have been presented to the visitors that walked in the EGT booth: the Pyramid Casino Management System with its 9 customizable modules and state-of-the-art solution entirely developed by the Romanian engineering team to assist the operators in their day-to-day management and the Spider Casino Management System that features accounting, cage, TITO, security and jackpot modules with two more in progress for the player tracking and the bonusing. Rental conditions were also attractive, offering some of the best prices and installments schedule right now on the market. Pyramid CMS entered the promotions corner – for example – with a 5 euro/ monthly rental price. All promotions are subject to certain terms and conditions, however, the good news is that the promo prices – both for sale and rental – are available for 6 months since the exhibition date. In true EGT style, the shows and full-scaled performances celebrated our impressive sales results in Romania and the growth of our online presence in the local market. We also presented the improved www.egt-bg.ro website with its new functionalities: the “Outlet” section that allows real-time inventory check of the stocks, the “Partners” section that allows for yet another way of promoting our clients and partners to the local market, and the freshly developed Customer Care department that is ready to promptly answer your questions, queries and complaints. For more details about what happened during the Entertainment Arena Expo in EGT’s booth 401, check out also our Facebook page: EGT Romania. Keep an eye also on the website www.egt-bg.ro for photos and videos from the exhibition days.